"It is only when you are totally secure with your traditionalism that you can be truly modern" said Sangita Sinh Kathiwada. 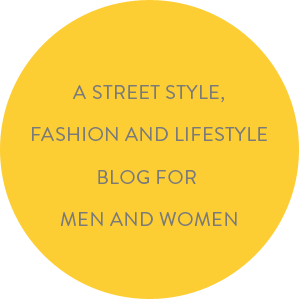 These words struck a chord with us when we spotted her dressed in a black n white bohemian ensemble that modern enough to make heads turn in admiration in Milan or Paris, at the same get familiar nonchalant looks on the streets of Kutchch or Kathiawad. Sangita, a heiress to a princely Rajput state, yes she married a PRINCE!, dons many hats. 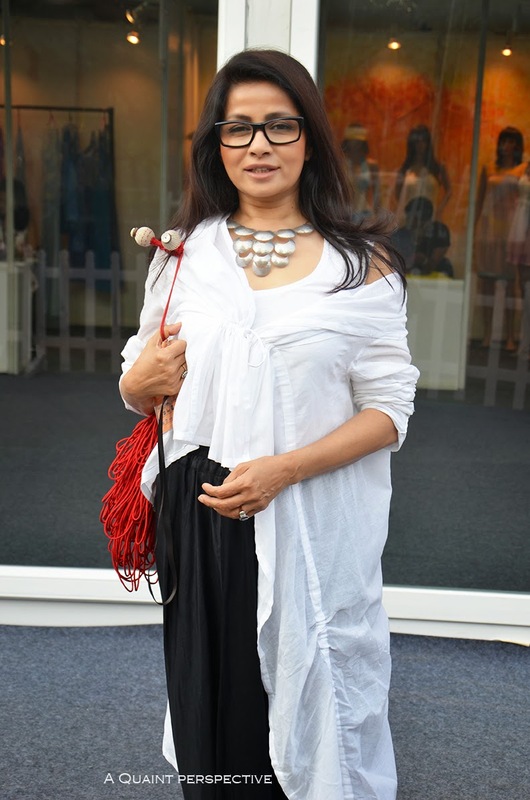 She provided the Indian designers with one of the first platforms to sell their wares at Melange' more than 20 years ago. As a director of Morarka Cultural Centre for NCPA she is consumed in bringing about synergy between the rural craftsmen and the urban designers. See their last LIFW presentation HERE. This is just about the beginning of the list of roles Sangita finds herself passionately juggling. 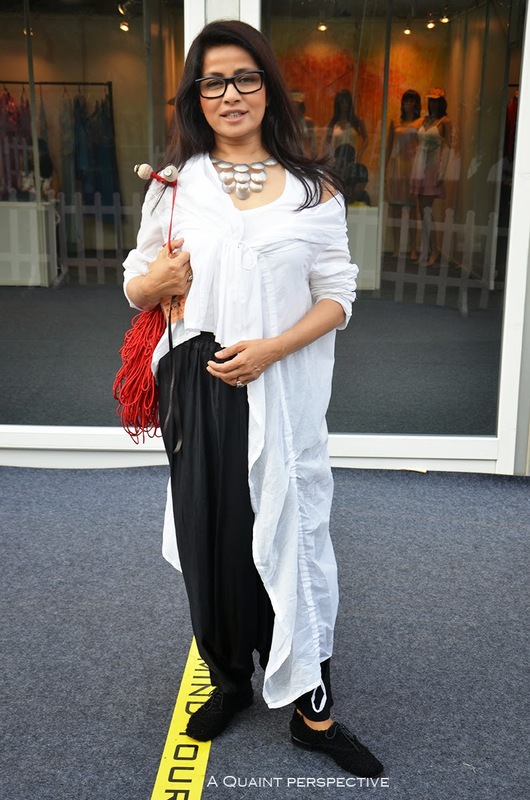 Sangita wears a top in white with a silhouette inspired from the traditional Gujarati version and pairs it up with comfortable Harem pants in black. 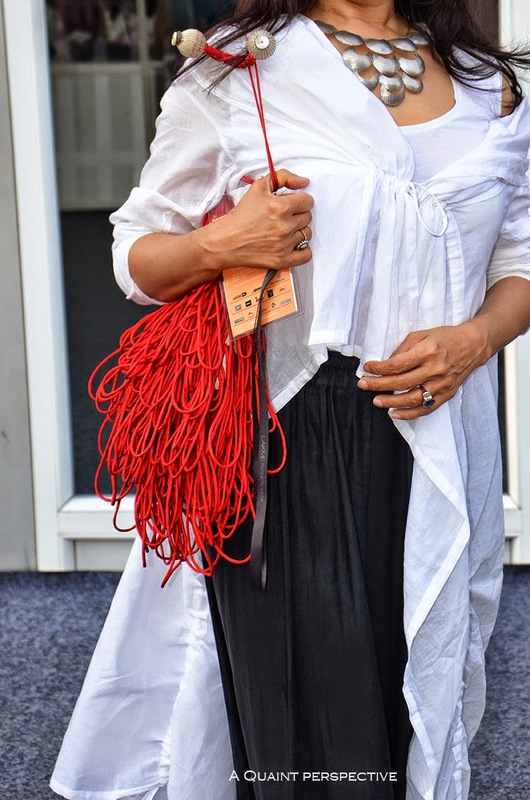 We love her choice of accessories a chunky gunmetal neck-piece and a looped string sling in red! A pair of black rimmed glasses and comfortable walking shoes complete her Regal Bohemian look.